The Victorian era lasted from 1837 to 1901. It witnessed huge social and scientific change, and some of this change was outright bizarre. We can some some very odd Victorian things in old footage from the age. From a balloonist duel to the death, to the best news report ever: here are 10 bizarre Victorian things. In February, 1855, Southern England had a lot of snowfall. After a night of heavy snow, a trail of footprints was discovered in the countryside. They weren’t human footprints, or those of any known animal. In fact, even today we know of no animal that could have walked the trail. They appeared to have been made by a cloven hoof in single file steps, which led to them being known as the devils footprints. Many people genuinely thought they were the devils footprints – and that Satan himself was in England that night. The devils footprints stretched on for at least 40 miles and even appeared on rooftops. There were all kinds of crazy theories on what caused them. My favourite is that a kangaroo escaped from a local zoo. Despite the appealing nature of this theory, the devils footprints remain an open mystery. In Victorian times it was common for 2 men to duel to the death. Traditionally, the man challenged to the duel had the choice of what weapons were used and where it took place. Usually they would pick either swords or pistols, but every now and then they would be much more creative. In 1878, a Dutchman was challenged to a duel. For some reason he wanted it to happen in the sky. Both men ascended into the sky with their hot air balloons ready to do battle. Each man were given a pistol and were allowed to shoot at each other until either one or both were dead. The duel made international news after the Dutchman killed his opponent. The whole thing took place within Guyana, which is weird because both men were European. This wasn’t even the first balloonist duel. That happened in 1808 – each man armed with a blunderbuss. The Victorians witnessed huge leaps in photographic technology. And for some reason, this caused the most creepy trend ever. Post-mortem photography was the popular act of taking photos of dead bodies. Usually taken just after death, they were considered a completely normal aspect of Victorian life and would often be proudly displayed by the family. The corpses were usually posed as if they were still alive and sometimes people would even pose with them in the photos. 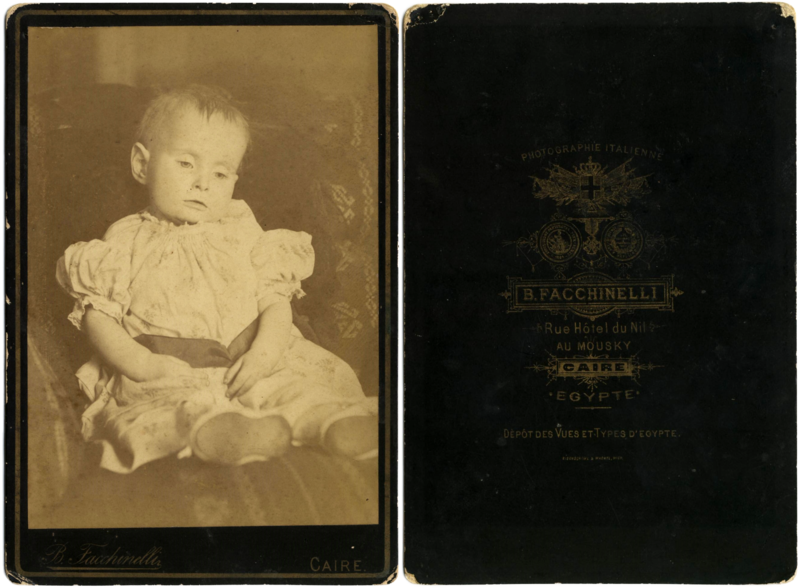 A creepy aspect of the trend was the frequent post-mortem photos featuring children. This can be explained by the high Victorian infant mortality rate. The trend even encroached into the 19 hundreds, with some still being taken in the 1940s. 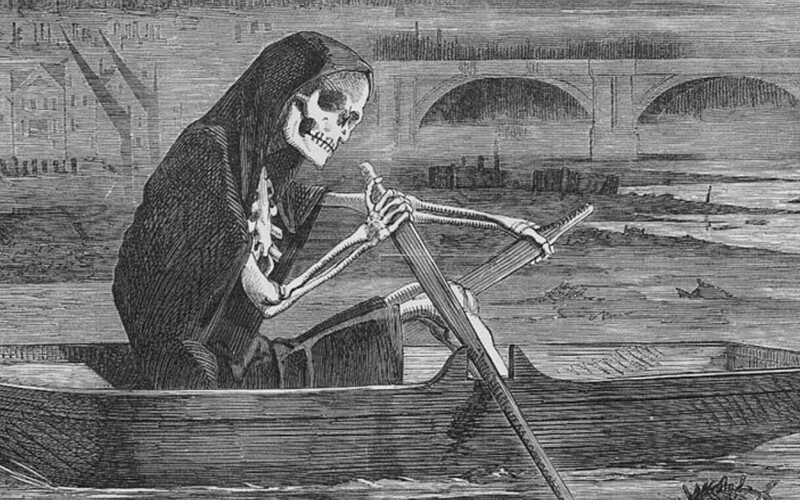 In 1858, there was a bizarre event known as the great stink. This was a time when human and industrial waste was still being dumped into the river Thames. The dumping caused not only several outbreaks of deadly diseases – but also a horrendous smell to emit from the river. 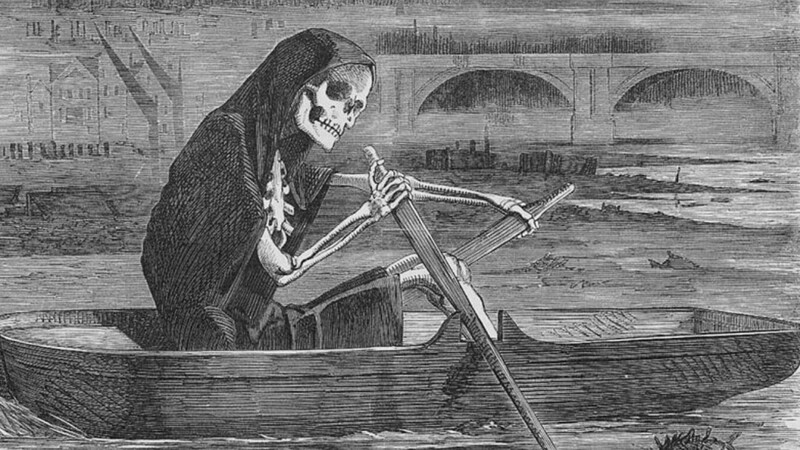 Hence the name… the great stink. The smell was made a lot worse when England was hit by a heatwave. The heatwave made life difficult for politicians who worked right next to the Thames. At one point they even had to close parliament due to the stench. 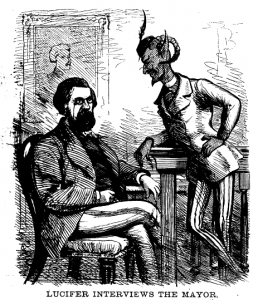 Local newspapers personified the problem as a character called “dirty father Thames.” One sketch showed father Thames interacting with the scientist Michael Faraday. The sketch was a reflection of the current climate as the stink forced the government to construct London’s sewer system. The sewers cost 6 and a half million pounds and used over 300 million bricks. The Victorians were a bit more simple than us today so they were prone to being tricked. Any experienced magician could fool them into believing the paranormal. They were big on sideshows, and no sideshow was complete without a trick horse. A trick horse was a horse who supposedly had unusually high intellect. Some trick horses were said to be as intelligent as humans – and some were said to have psychic abilities. Beautiful Jim Key was a popular trick horse in America. Trained by a former slave, people would travel great distances to see him perform advanced arithmetic and recite bible passages. I find it hard to believe a horse could speak, but beautiful Jim Key became a well known celebrity. There was also a German trick horse called Clever Hans. His owner claimed he could read, write, understand German, and tell the time. 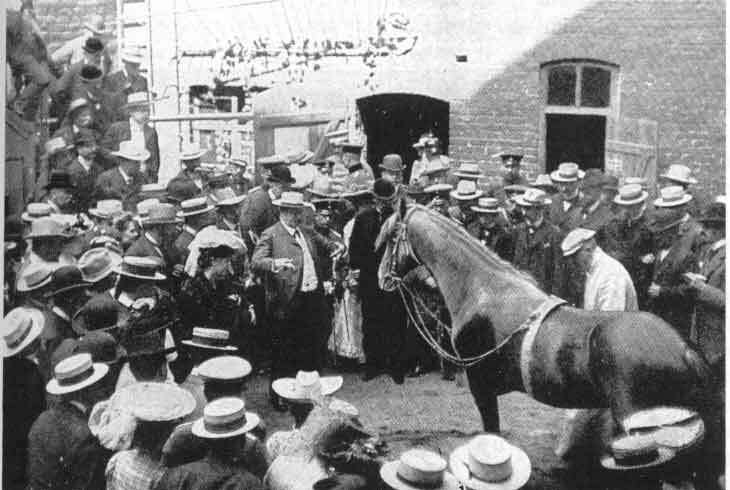 So many people were taken in by this horse that the German board of education set out to investigate it. After testing the animal under controlled conditions they concluded it was just a regular dumb horse. 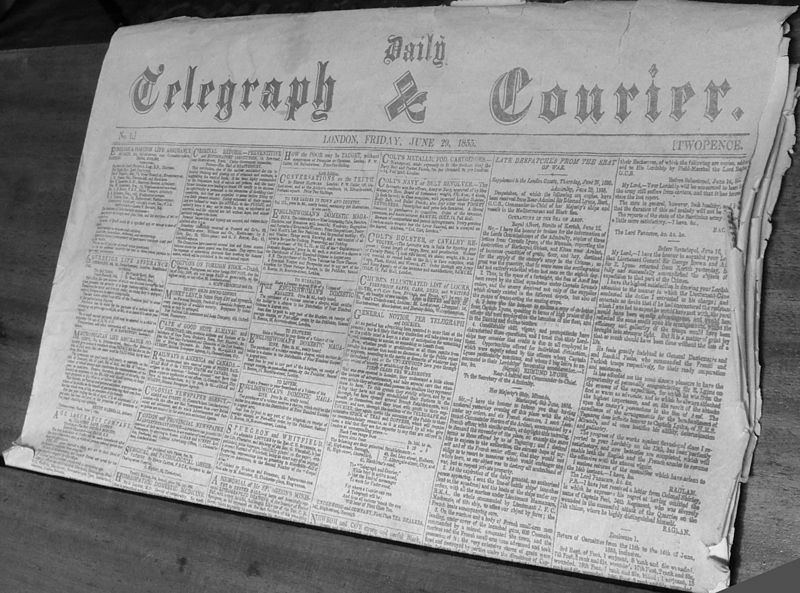 Victorian newspapers weren’t very good at deciding which stories were genuinely newsworthy. The outcome of this is a variety of unusual headlines – for example when a live bull ran into a China shop in 1899. In July of 1870, an escaped monkey stole a baby from her sisters arms. Before they could do anything the monkey ran onto the roof and escaped. Only after an entire day of searching was the monkey found in a local forest. Fortunately he still had the baby with him. Another story from 1890 describes an international shipment of 19 tons of dead cats. Shipments of dead cats is just one of the many Victorian things I’m glad we left behind. 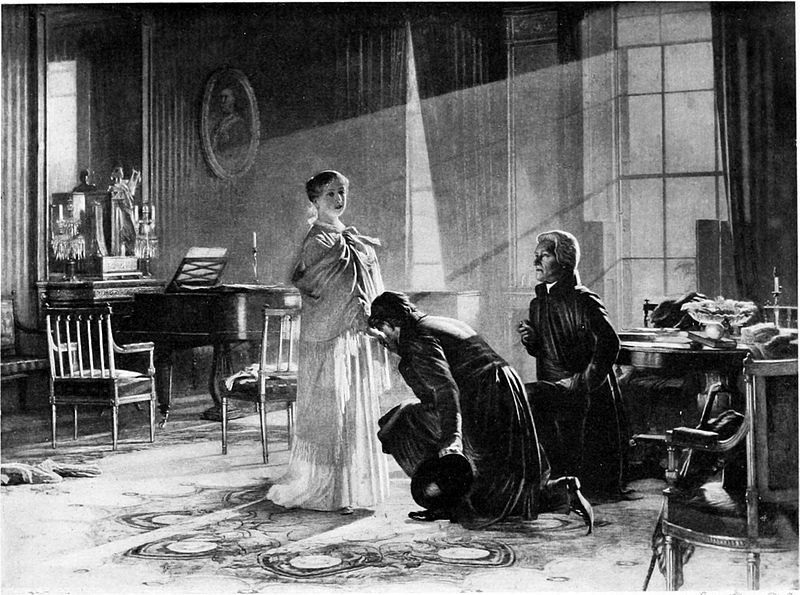 The later years of Victorian Britain saw huge interest in occultism. Occultism comes from a Latin term that means “knowledge of the paranormal” – and the Victorians loved exploring the paranormal. They would get together on dark nights and combine pseudo-science with paganistic rituals. 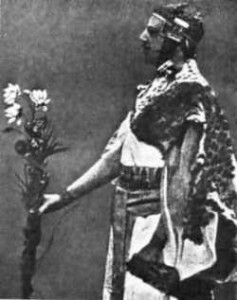 One of the more interesting occultists was William Westcott, who founded the golden Dawn society. Golden Dawn was a secret society dedicated to studying the occult. They soon discovered a series of mysterious texts. The cypher manuscripts told of a series of rituals that could supposedly create a gateway to the spirit world. And so the order attempted to perform each of these rituals. I assume none of them were successful, but golden dawn did become well established in British society with several celebrity members. Their strength grew until Westcott left the organization. After which they faded in obscurity. Just one of many Victorian things to fade into obscurity I guess. On a similar subject to the golden dawn, the Victorians loved ghost hunting. In fact, it was one of the most loved Victorian things. Scientific observation was the keyword. They wanted to record personal experiences with ghosts and demons. The London dialectical society was founded in 1869 to do just that. They entered supposedly haunted houses from old legends during the winter. Their theory was that ghosts more commonly appear in cold weather. In 1871 they released a report claiming that they encountered many spirits who warned them about the future. Also that they were physically attacked by ghosts. And that they apparently saw a bunch of witches summon an army of ghosts. Which makes me wonder how scientific their methods were… because it doesn’t sound very scientific. 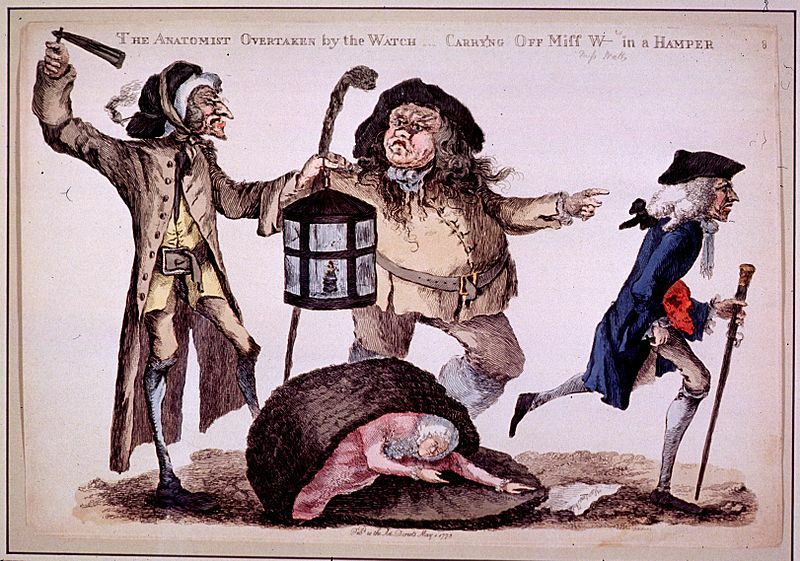 One of the more well known aspects of Victorian society was the widespread body snatching. Body snatching is the act of stealing dead bodies from graveyards – usually to be sold to medical schools. At the time only the bodies of executed criminals were made available to medical schools. So there weren’t enough corpses to go around. This led doctors to buy them on the black market. The body snatchers would sneak into graveyards and exhume the bodies of dead people. 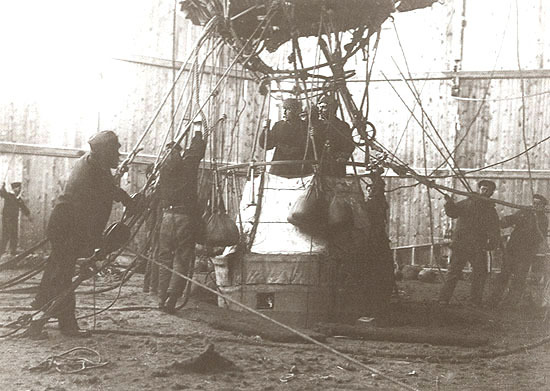 This was such a big problem that watchtowers were installed in cemeteries, and metal caging was often laid over graves. Dead bodies would need to be physically watched over until they were buried and violent mobs would attack anyone suspected of being a body snatcher. I really couldn’t resist ending the topic of bizarre Victorian things without including her.